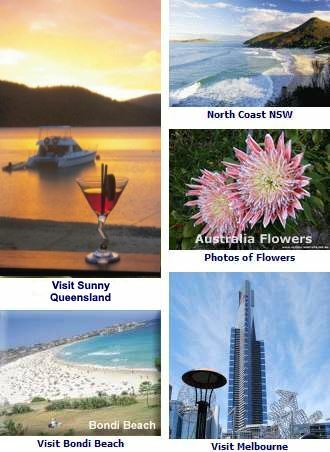 Sydney Places to See - Bondi beach, Darling Harbour, Taronga Zoo, Sydney Harbour on a Cruise, Zig Zag Railway, 4WD adventures, Jenolan Caves and more, including Manly Beach and the Northern Beaches. You can even take private personal guided tours to these places. The Blue Mountains, just west of Sydney is a great place to explore for Australian history, antique shopping, spectacular views and long or short walks in the bush. Take a guided tour trek of Blue Mountains Aboriginal culture. Blue Mountains Walkabout. Jenolan Caves Day Tour - Go exploring down under at the ancient cave systems of Jenolan. Take an Eco Tour or a wilderness tour - There are various ones available in the spectacular Blue Mountains just west of Sydney - see kangaroos and colourful birdlife in their habitat. Mt Tomah Botanic Garden - Visit the beautiful and scenic Mt Tomah Botanic Garden. Zig Zag Railways - Ride the restored historical steamtrain up the mountains on the railway first built in 1869. Bells Line of Road - Take a car around the Grand Circular Drive and see much of the stunning scenery of the Blue Mountains. SCUBA Diving and snorkelling - There are a number of excellent dive sites off the Sydney coast with a number of shipwreck sites as well as the varied sea life. Or, hire a houseboat on the Hawkesbury for a day or week to cruise, relax, even a bit of fishing. There are a variety of Sydney Harbour cruises available, including visits to the some of the islands dotted around the harbour and Taronga Zoo. The Bounty, a replica Captain Bligh’s ship, built for the movie ‘Mutiny on the Bounty’ also cruises the harbour. Brunch, lunch and dinner cruises are available. Most of these cruises can be booked at Circular Quay. See Sydney Maps. Koalas, Reptiles, Bird Shows, Australian wildlife and a lot more. Take a Ferry from Circular Quay with a ZooPass, allowing you entry, sky safari/bus ride and return ferry. Great views of the City CBD and Sydney Harbour. Over 6,000 animals on display, all beautiful, some scary, in natural habitats. Only 5 minutes walk west from the Sydney City Central Business District (CBD) at Darling Harbour. 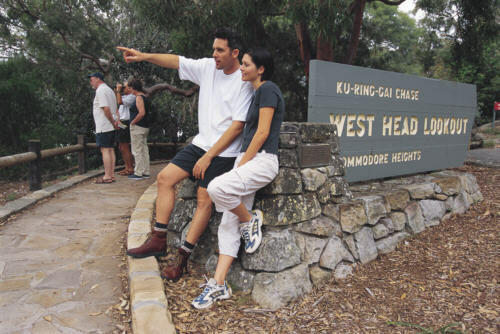 There are wonderful walking tours available, including a convict and colonial history tour at The Rocks, Kuringai Chase, the Sydney Opera House, the Royal Botanical Gardens, Taronga Zoo and along the foreshores of the harbour and ocean beaches. Aboriginal Tours and Harbour Cruises encompassing Aboriginal Dance and Culture include Thulli Dreaming and Muru Mittigar. Climb the Sydney Harbour Bridge. 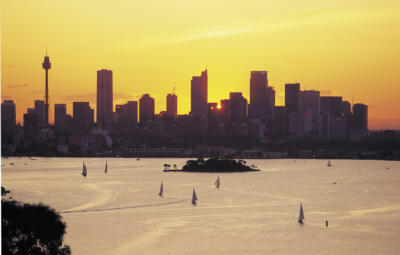 Dawn, Day, Twilight and Night tours available - enjoy spectacular unobstructed views of the harbour and much of Sydney. Available at The Rocks. Manly Beach is a very enjoyable ride by ferry, jetcat or water taxi from Circular Quay. Spend the day at the beach, stroll the scenic coastal walk, shop at the many speciality shops and enjoy a meal at one of the many restaurants and eateries. Manly Beach. Famous the world round and is only 8kms from the City Centre. Bondi Beach. Like Australian wines? Then a tour of the Hunter Valley wine growing region is an excellent way to enjoy some of Australia’s finest. Hunter Wine Region. Darling Harbour has a collection of Australia’s finest museums and entertainment facilities as well as being a well known conference and exhibition centre. Darling Harbour. Take a historical tour of The Rocks, where the convicts originally lived, later to become the ‘rough end of town’s and now, a fine restored historical district. The Rocks. Take a ride on the Sydney Explorer bus where you can hop on or off at 26 key city spots, seeing the city’s historical and popular spots, all day, every day. See more on the Sydney Explorer. Other places to visit and see include our many beaches, Parramatta, the Central Coast, The South Coast and the North Coast. See more on Where to Go in Sydney. Scenic Flights over Sydney: Sydney Scenic Flights. Cruises: Australia Cruises - Sydney Cruises on the Harbour see . Find out more about working visas - Work in Australia - Changes in government policy has made it easier to get work and student visas.